It's the Masters time again and I'm sure you, like me, will be glued to the excitement that this special tournament always delivers. I was fortunate to play the course many years ago and it really is as magical in reality as it is on the tv. The undulating fairways and greens are hard to get used to and the level of preciseness around the greens means only the very best players perform consistently well around Augusta. Even a slightly mishit pitch or chip shot will be punished as the firmness and speed of the greens demands that you are in complete control of your technique. The tournament is of course wide open with Tiger missing due to back trouble. I would like to see a new winner, someone winning it for the first time. I think Louis Oosthuizen is worth a bet but as you all know my predictions haven't been great over the past few years so I'll leave your betting to your own best guess!! This tournament doesn't begin until Saturday so I would only recommend you hold off till then were you will get great value on players who have made the cut, and perhaps out of contention but you just know they will rally over the weekend. I can't wait! Our PING fitting night went very well last week. Thank you to everyone and my apologies to those of you who were unable to get an appointment. Don't forget I carry a full compliment of PING fitting equipment along with the very best in radar technology in TrackMan so fittings are ALWAYS available. To book a fitting with me please click here. Well done to Jessica McNulty who won last weeks PGA Tankard. Jessica had a great score of 39 points. Thank you and well done to all the ladies who played and those who won prizes. We had a great night and it was great to see so many ladies in the club for the presentation. Best of luck to everyone for the rest of the season! When I see a golfer with a full custom-fitted set of woods in their bag, I know they have considered how far they hit each club. 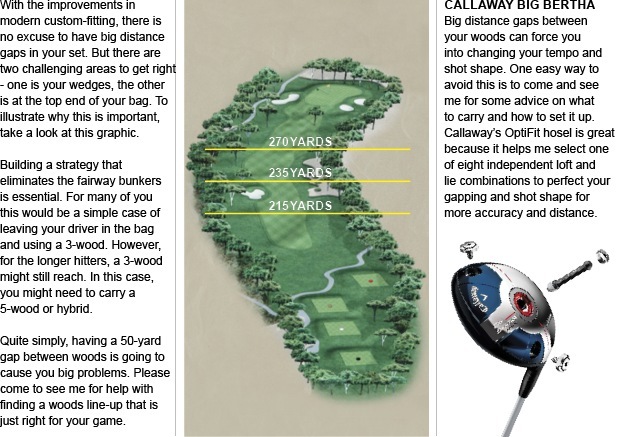 Often we can neglect this part of the game at the top end of our bag which costs us valuable shots. Some simple fine-tuning in this area can work wonders. Ask us about helping you to find your perfect woods line-up. "Drive for show putt for dough," so the saying goes. 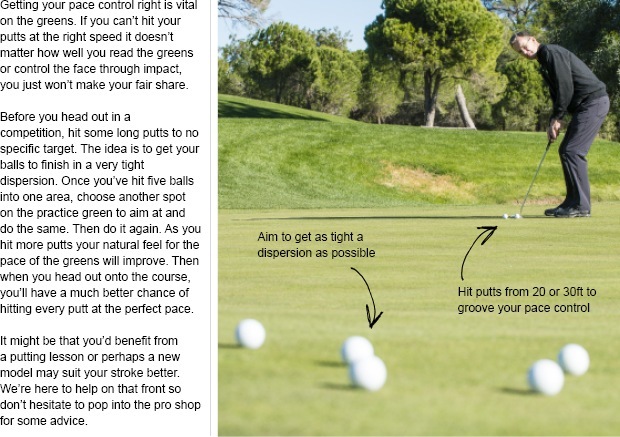 Both are important, of course, but here's something for you to work on on the putting green which will seriously help you limit those costly three-putts. Remember, we can always take a look and your putting stroke, so don't hesitate to get in touch. 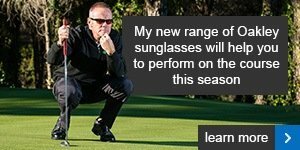 We don't like to moan about the sun but it can cause problems on the course, which is why owning a pair of sunglasses designed with golf in mind is such an essential piece of kit.